Could Subaru Outback Be Challenged By New Ford Fusion Reborn As a Wagon? The top-selling Subaru Outback could be getting competition. Will the Ford Fusion be reborn as a wagon? The Subaru Outback is wildly successful and is the brand’s number one selling vehicle in the stable. Automakers have surprisingly elected to stay away from building a wagon to compete with Outback. But that could be changing. Bloomberg reported recently that anonymous sources within Ford Motor Company claim that the Fusion will live on as a “sport wagon” fashioned as a Subaru Outback competitor. Ford announced they will ax their sedans and the current Fusion sedan is scheduled for cancellation within the next few years. Until now, the only competition has been from Volkswagen with their SportWagon. Honda tried with the strange-looking Crosstour but it never caught on. Buick just debuted the Regal TourX, with the looks of a European sports tourer, it offers all-wheel-drive, but it sits too low to the ground to compete with the “go-anywhere” attitude of the Outback. Ford currently offers a wagon version of the Fusion in Europe known as Mondeo. If Ford uses the same platform, gives it standard all-wheel-drive, raises it up with enough rock-clearing ground clearance, and infuses it with some recreation-purposed attitude, Ford might be able to replicate the Outback recipe. What Ford has that Subaru doesn’t right now, is a better choice of drivetrains with the Fusion’s naturally aspirated and turbocharged 4-cylinder and 6-cylinder engines, along with hybrid and plug-in hybrid options. The Outback currently offers the 2.5-liter boxer and 3.6-liter six-cylinder that’s been rumored to be discontinued in the next-generation model. What Subaru has that Ford doesn’t is a following of loyal owners who have owned an Outback for years. Subaru also ranks #1 for offline sentiment. In order for the small automaker to stand out amongst larger competitors, Subaru has invested in digital marketing campaigns to boost their brand’s image and appeal, engage with its audience and build its customer base. Subaru recently moved all the way to the fifth place among all automakers in both online and offline sentiment. 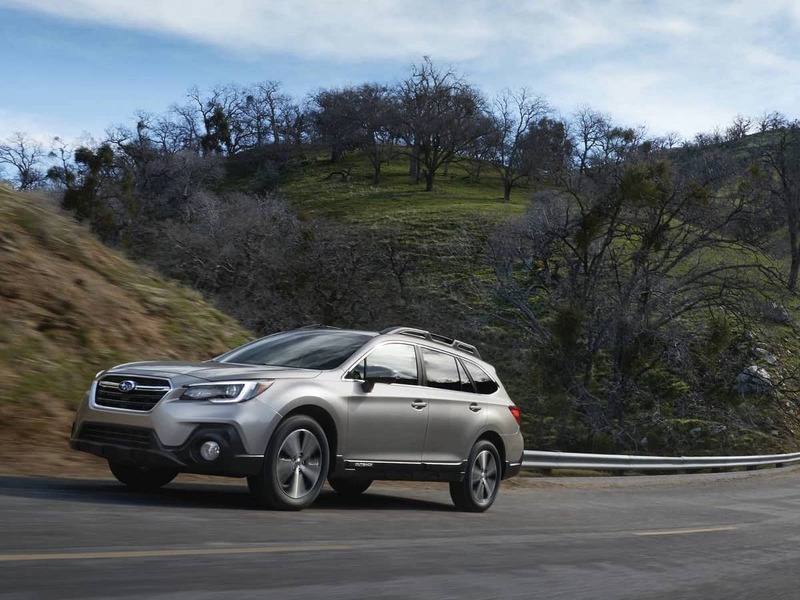 If Ford or any other automaker tries to replicate the success of the Subaru Outback, they will need the right product, and they will need to connect with a generation of buyers who have an adventurous spirit. Subaru has spent the last 22 years building that customer base. It won’t be easy to duplicate. Well, I guess we saw this coming. Denis, as you note it will be tough to unseat the Outback. One weakness the Outback has is exterior design. However, I don’t see Ford making much of a dent into Subaru market share. However, if this pushes Subaru to get hybrid tech faster and come up with a great redesign with the new global platform, bring on the competition!